The last weekend in August I brought Corinne with me on an overnighter with the local Facebook outdoor group. I’ve been a member of this group for a while, and they do overnighters together, but every time I’ve planned to join something came up. 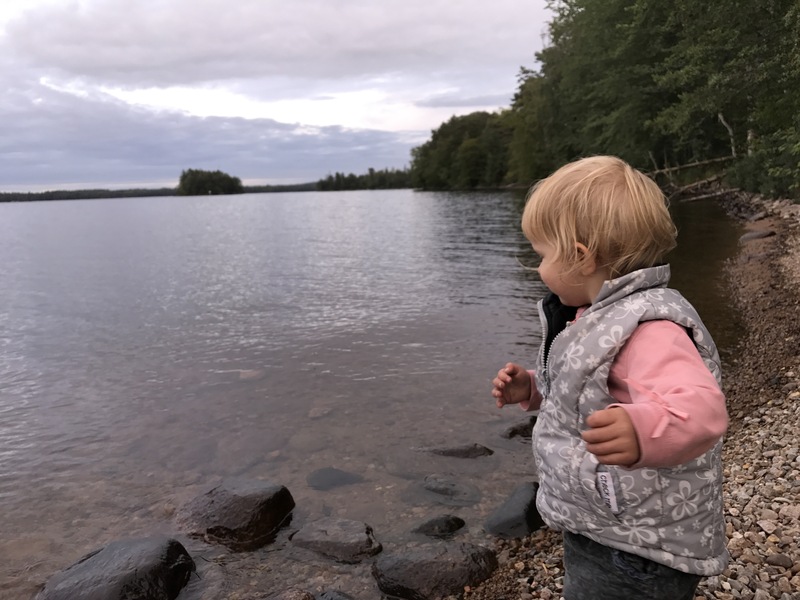 This overnighter was more of a camping trip than a hiking trip, and I thought that it would be perfect to bring Corinne to this. 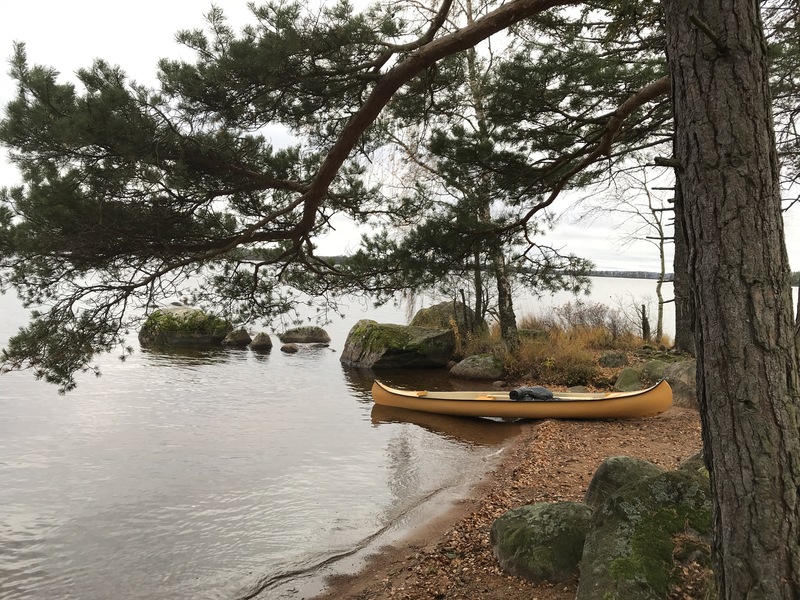 The location was Jägaregap nature reserve, on the far edge of Helgö, just north of Växjö. 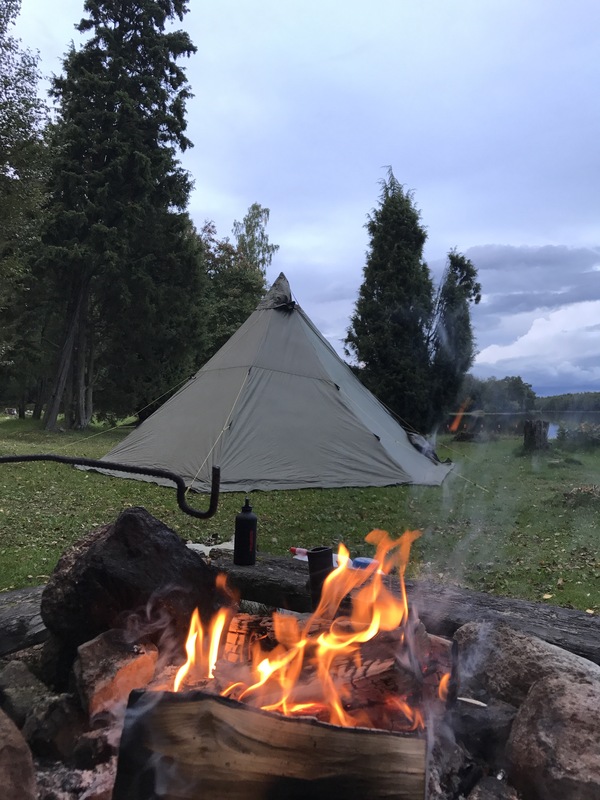 I had a hard time deciding which tent I should bring, but eventually I brought the Helsport Nordmarka 6. 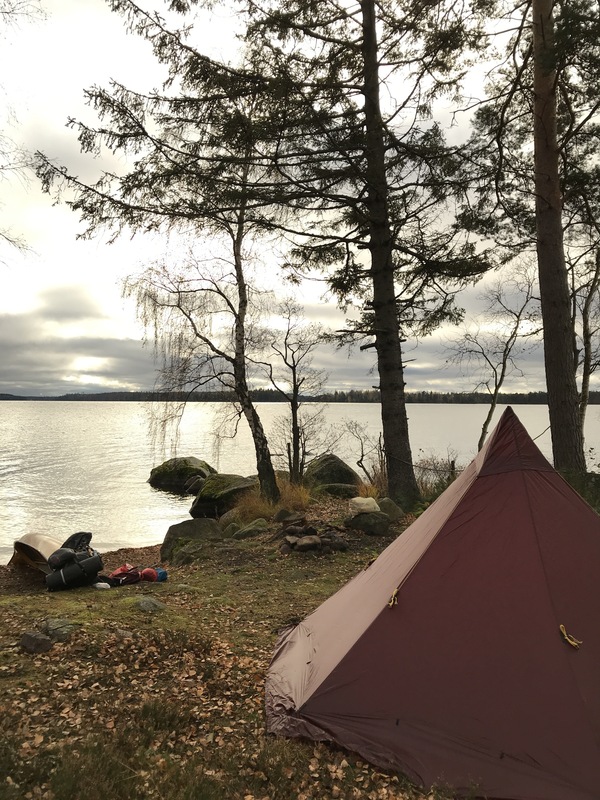 It’s less than a kilometer from the parking lot to the far edge of Jägaregap, and with Corinnes history of being rough on gear I’d rather take the cheaper and more abrasive resistant Nordmarka. Since we didn’t have to worry to much about weight I also brought a bag of firewood, real coffee and sausages and buns. When we arrived there where already three guys there. They where the once who usually hike together during the group hikes. More people joined during the evening, even though they weren’t going to spend the night there. Dario, the founder of the outdoor group, brought his wife and his daughter too. We had a fire, and spent most of evening chatting and eating. I’m more used to hiking style camping than “fat camping” as the other guys called it. I had brought too little food, but the other guys shared both good beverages, food and cheese. 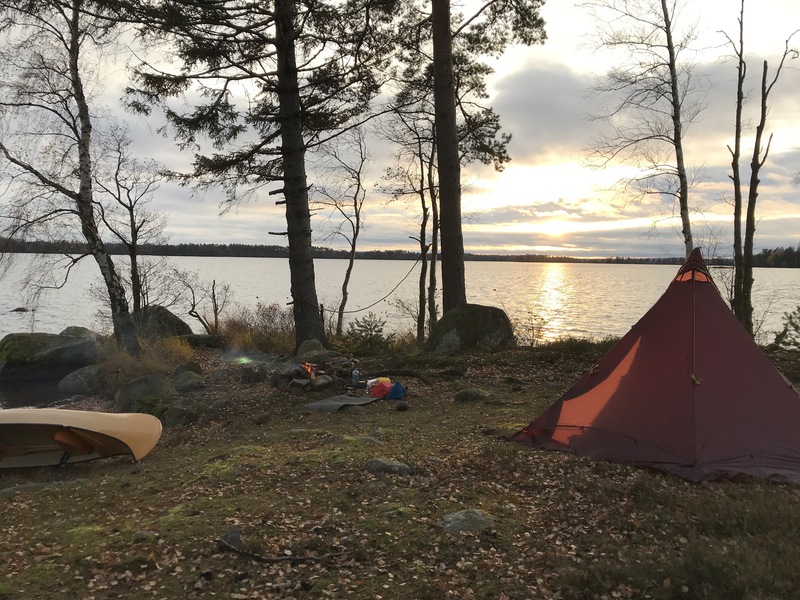 It was a big difference from my usual trips, where I hike solo all day long, eats homedried food straight out of the bag and then just passes out in the tent with acing muscles. But I liked it. I usually never have a camp fire, but a fire really adds to the comfort. Corinne was exited about everything, and it took a long time for her to wind down and be ready for sleep. Eventually she fell asleep in my arms when I left the fire and walked back and forth on the trail in the dark. I put her down on her sleeping mat and wrapped the quilt around her. She slept soundly the entire night. One of the guys had brought “Varm och kall” (Hot and cold), that you could serve either cooled or heated. He heated it over the fire and shared it with everyone. It was really nice on the chilly evening. Eventually we all went to sleep. I had left the top vent open on the Nordmarka. Unfortunately it started to rain during the night. It took a couple of heavy downpours for me to wake up enough to realize that I had to close the vent. When I woke up the next morning I saw that a lot of water had rained in before I closed the vent, and I had a big puddle on the floor. Fortunately though, the floor leaned away from our sleeping gear, so nothing had gotten wet. We had breakfast and I tried Growers cup coffee for the first time. It was a lot better than the freeze dried instant coffee I use to have. A good thing is that you can dry the bag, fill it up with new coffee and reuse it again. Good for both the environment and the wallet. After breakfast we packed up and left, as we had to be back home early. It was nice to get out on a trip and meet some new people. 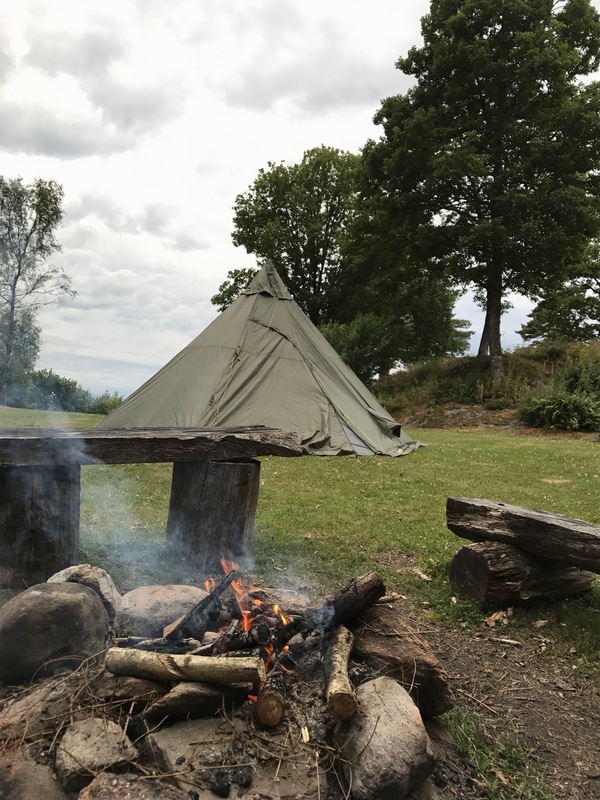 It was also nice to try new ways of hiking and camping. 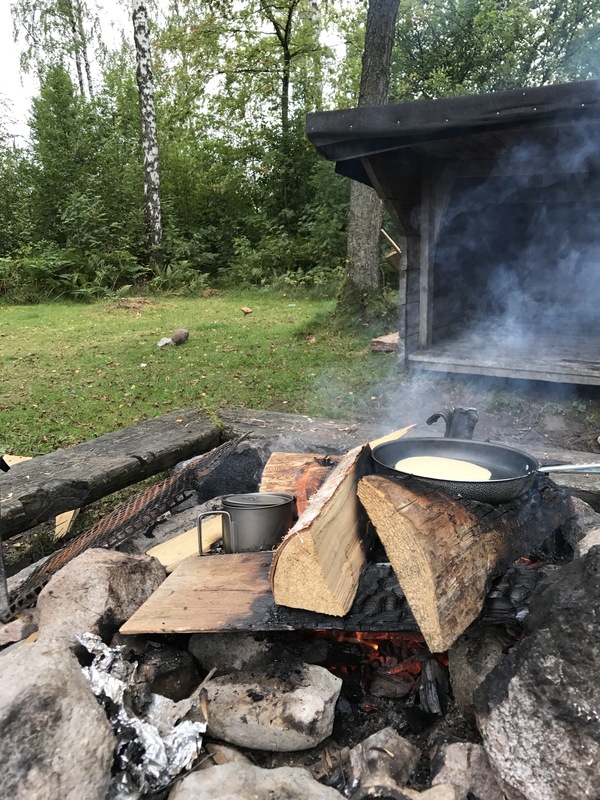 And I think I really like this food heavy “fat camping”. 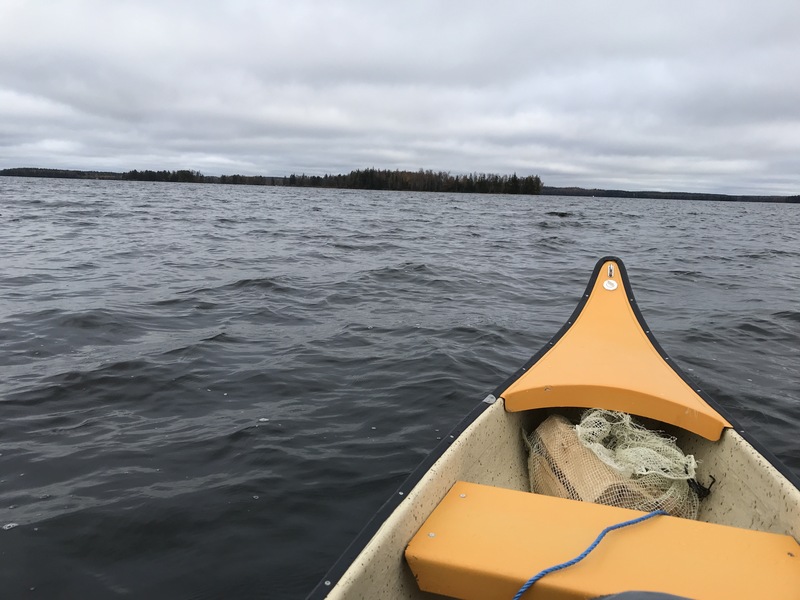 But I’ll try to combine it more with canoe camping, as the canoe makes it possible to pack heavier if you’re not going to do any portages. 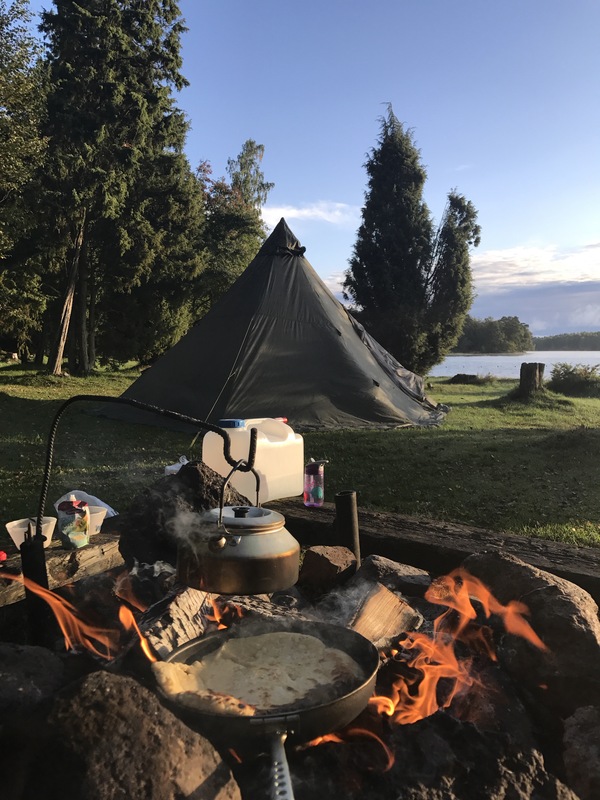 After Gotland we went on another car camping trip to the west coast, and also spend a day on the roads in Norway. Our first stop was at the ski resort Isaberg, in Hestra in Småland. It’s a small hill, but they still have some slopes and get their fair share of tourists. During the summer months they have mountain bike trails, an obsticle course 10 meters up in the trees and other stuff like that. We took a break there for a few hours so the kids could play. After that we continued west. 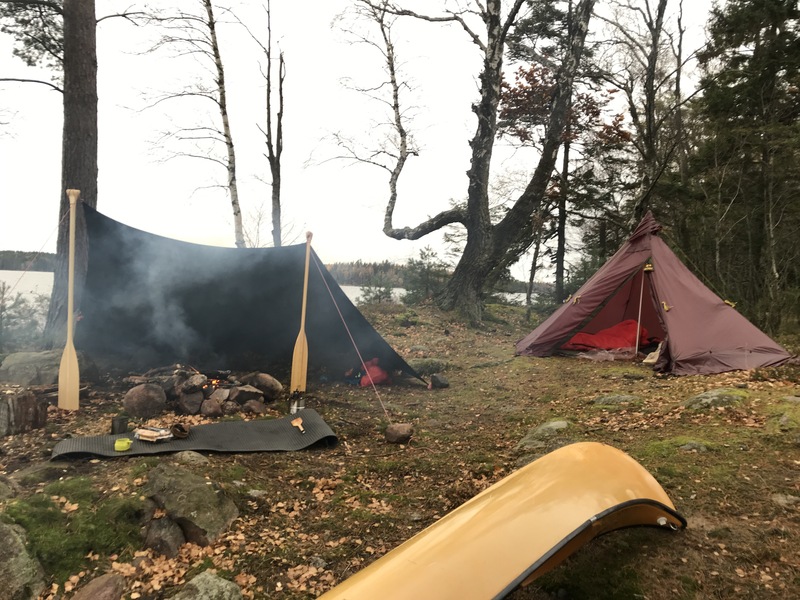 We used Vindskyddskartan to search for campsites. It’s a map that shows lean-to shelters in Sweden. We found a place at Hyssnaleden that we could drive all the way up to. It was a really well tended campsite, with a lean-to shelter, several fire rings, firewood and a lot of flat ground to pitch our tent. 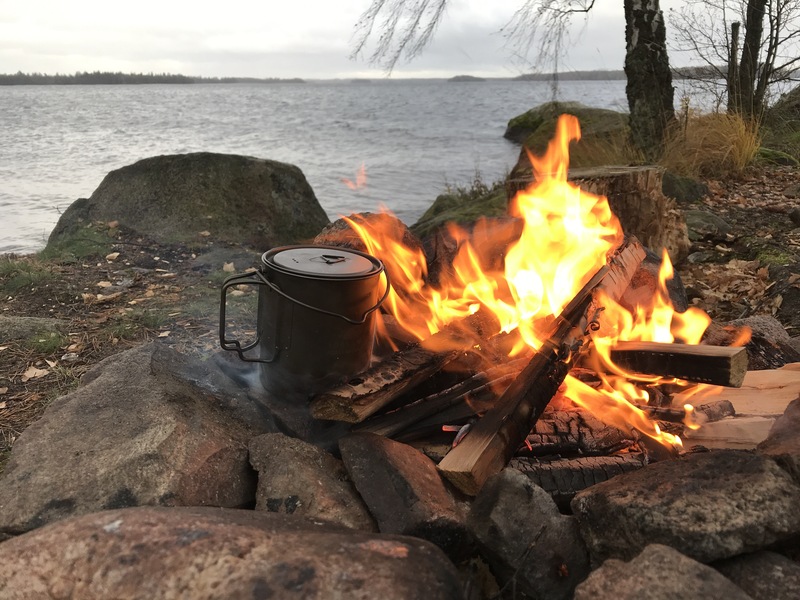 We pitched our Lavvu and started a fire. Just moments after the shelter was set up it got covered with flying ants. They were really crawling all over the place. Some of them managed to get inside the tent too, despite the mosquito net. 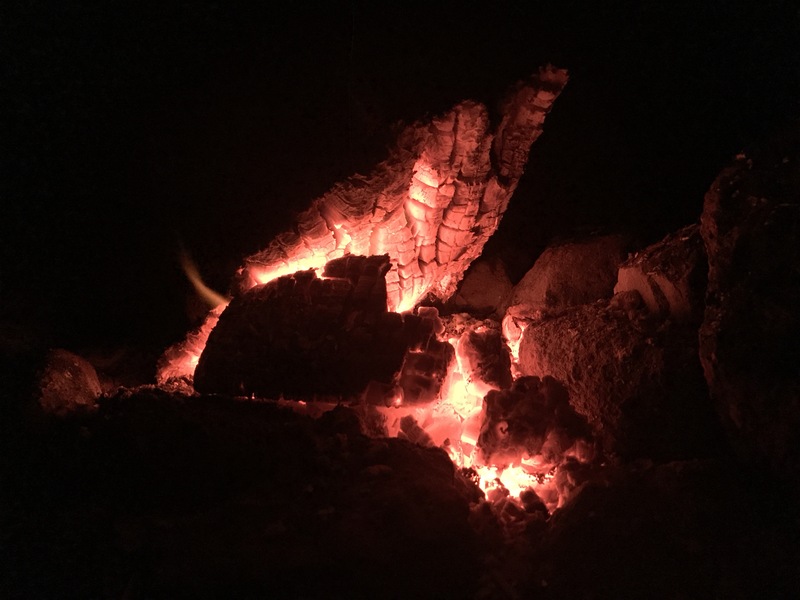 It was nice to have a fire, but once I started it I remembered that there might be a fire ban, which is common during the summer months. We searched high and low but couldn’t fin any info about it. But just to be safe we led the fire die out. 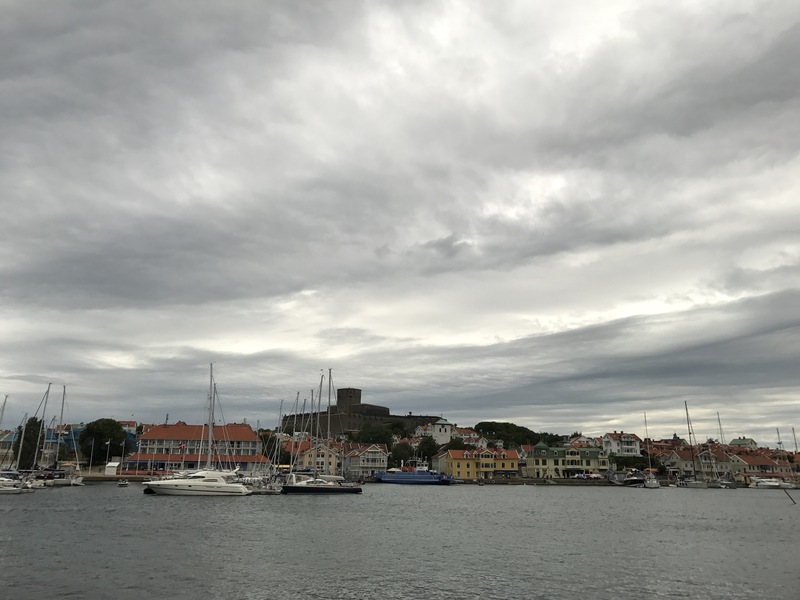 The next day we drove past Tjolöholms castle, and then drove to Marstrand. Marstrand was a really well tended place just north of Gothenburg, below the old fortress Carlstens fästning. It felt like a place for sailing enthusiasts. After Marstrand we drove to the island Tjörn to try to find a place to set up camp. We drove down a lot of roads, but there were houses everywhere, and eventually we gave up. We looked at Vindskyddskartan and found a place outside Ljungskile that looked promising. It was a 500 meter walk from the parking lot, but it was a nice place just next to a lake. After we’d set up the camp I drove to Ljungskile and bought pizzas. It was glamping at it’s finest. 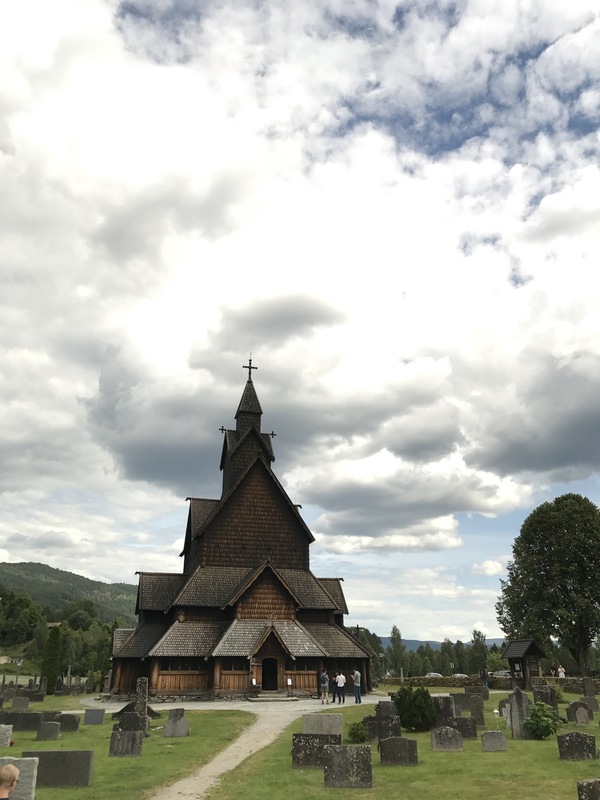 The next day we drove to Norway to look at Heddal Stave church. From the pictures it looked amazing, sort of like something from Rohan in Lord of the rings. When we finally got there though, we where disappointed by how small it was. Nevertheless, it was still beautiful. We found a nice campsite next to a river near the church, but thought it was too early to set up camp so we kept going to find another place. We ended up not finding anywhere to camp, and finally we decided to go back home instead. All of us where starting to get a cold, and it felt like the best plan. The family slept in the car and I drove back. By 03.30 we were back in Växjö. The camping was nice, but it is harder to find good spots with your car than it is when you’re hiking. 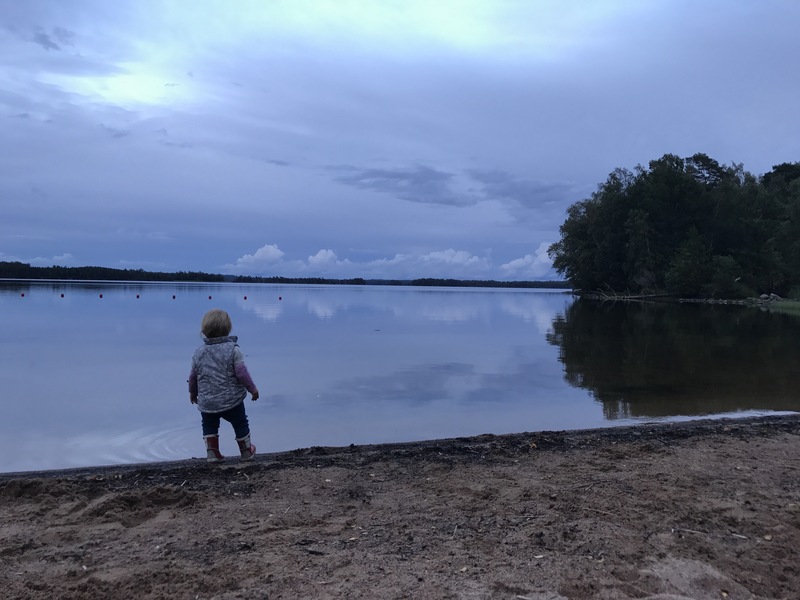 A few days after we were back from the last trip we went to Scania. We where going to Ven, a small island in Öresund between Sweden and Denmark. The danish scientist Tycho Brahe built a castle and an observatory on the island in the 16th century. Ven is a popular place for bicycle tourists. But it is a small island, and you bike through everything in less than a day. Most visitors rent bikes on Ven, and you’ll see their yellow bikes all over the island. We drove to Landskrona harbor where we got on the ferry. We had pre-booked tickets, but there was a long line of people waiting for the boat. When we arrived we walked up a steep road to get the renal bikes. We spent the day biking around the island and looking for Geocaches. We couldn’t find all of them though. It was a beautiful island, and a nice bicycle trip. But I don’t think we’ll get back here again. You get to see most of the island in just a couple of hours, and it was packed with tourists. After we took the ferry back to the mainland we drove north of Helsingborg to look for a place to sleep. Using Vindskyddskartan we found a place near the ocean. 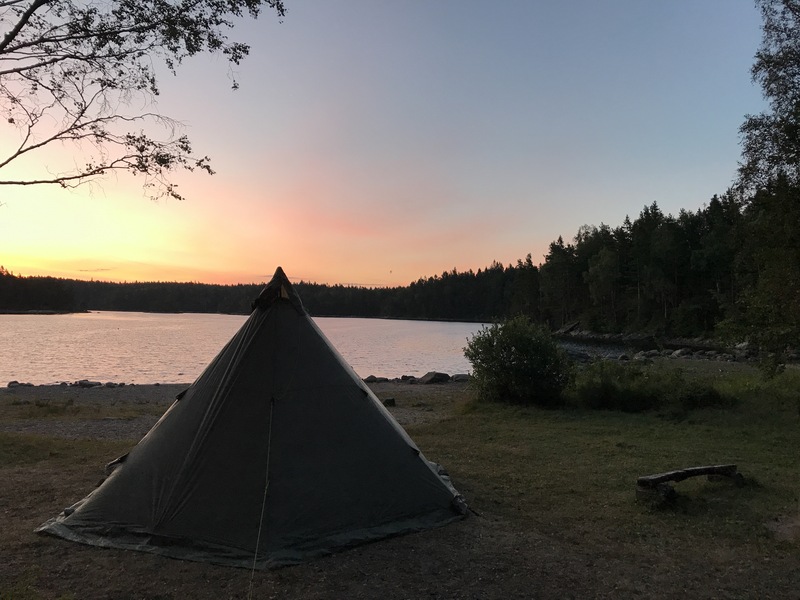 There was a “No camping” sign at the parking lot, but no information that it would be forbidden on the Skåneleden website that otherwise has info on campsites where it’s forbidden to pitch a tent. We met a few people at the lean-to shelter, who said more people had asked about the sign that evening. They had called the local authorities and apparently it was OK to camp near the shelter. The sign was more intended for motor-homes on the parking lot, she explained. We put up our tent and had a nice evening overlooking the sunset and the ocean. 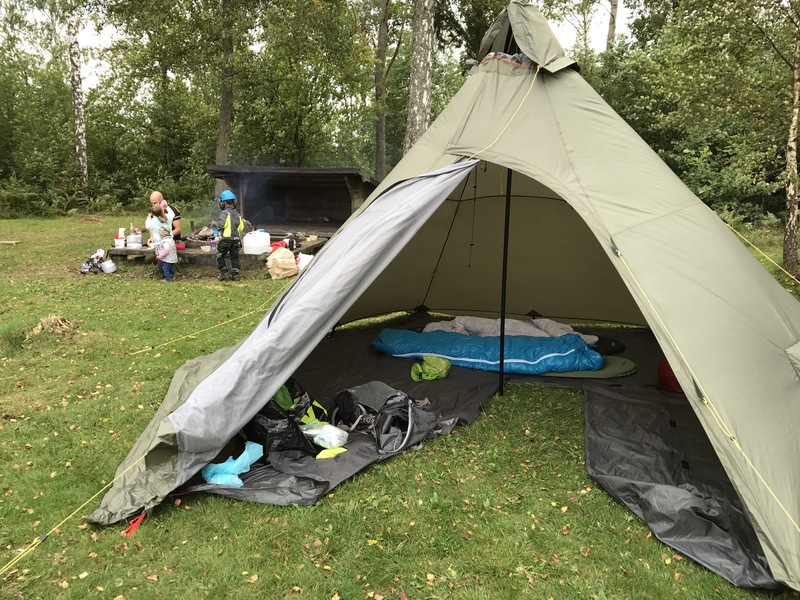 A few other tents where pitched around us, one of them a Helsport Nordmarka just like ours. The next morning we took the ferry to Helsingør on the Danish side of Öresund. We had planned to spend the day there, but the rain was really pouring down, so we soon ended up driving home instead. This was the last car camping trip for the summer. What I like about car camping is that you can bring heavier gear, bigger tent and better food with you. The downside is that it can be hard to find good places to set up camp.